An American Muslim NFL player has been penalised after celebrating a touchdown by dropping to his knees in prayer. 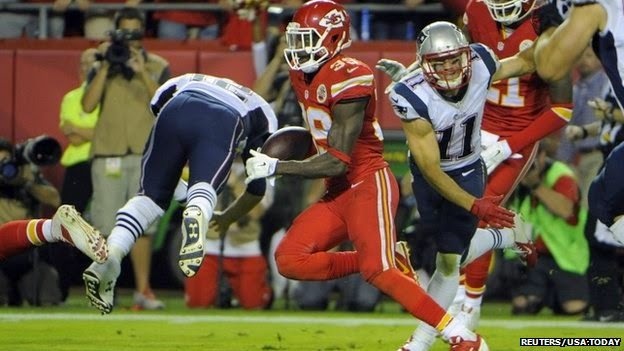 Husain Abdullah scored for the Kansas City Chiefs as they defeated the New England Patriots 41-14. Officials penalised him for breaking "excessive celebration" rules by sliding on his knees and pressing his forehead to the ground after scoring. National Football League rules state that "players are prohibited from engaging in any celebrations or demonstrations while on the ground", but there is an exception for going to ground for prayer. Michael Signora, NFL's vice president of communications, tweeted: "Abdullah should not have been penalised. Officiating mechanic is not to flag player who goes to ground for religious reasons." American football fans took to social media to point out that there were plenty of Christian players who marked their touchdowns with signs of deference or religious tributes. 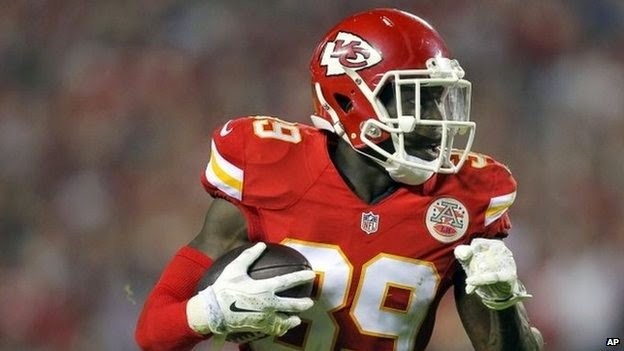 Abdullah, 29, told the Kansas City Star newspaper that game officials had said nothing to him at the time but the Chiefs' coach had told him he had been penalised for sliding. "I don't think it was because of the actual prostration that I got the penalty," he told the AP news agency. "I think it was because of the slide." The Council on American-Islamic Relations, an advocacy group, called on the NFL to explain the reason for the penalty. "To prevent the appearance of a double standard, we urge league officials to clarify the policy on prayer and recognise that the official made a mistake in this case," spokesman Ibrahim Hooper said. Abdullah, a devout Muslim, missed the entire 2012 season to go on a Hajj pilgrimage to Mecca with his brother, another NFL player.